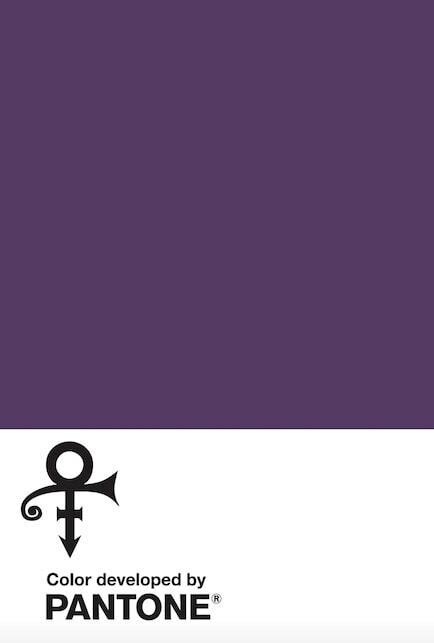 The Prince Estate, in collaboration with the global color authority, Pantone Color Institute, announced the creation of a standardized custom color to represent and honor Prince. The suitably purple hue, represented by his “Love Symbol #2” was inspired by a custom-designed Yamaha piano, due to go on tour with Prince before his untimely passing at the age of 57, in April 2016. The color pays tribute to Prince’s “indelible mark on music, art, fashion and culture”. Its a color synonymous with Prince, in part because of 1984’s release of Purple Rain, paired with its Academy Award-winning soundtrack featuring the eponymous song. Pantone advise that “while the spectrum of the color purple will still be used in respect to the “Purple One,” Love Symbol #2, will be the official color across the brand he left behind”. Learn more about the Prince estate x Pantone color collab over at pantone.com.